For the something that is elegant and classic in design aspects we are proud to offer our titanium 4mm box link bracelet. Made from high polish grey titanium which is 4 millimeter wide. This can be worn by anyone who subscribes to the less is more at times ideal. While the bracelet is thin it is extremely strong and durable so there will never be a worry it will break. 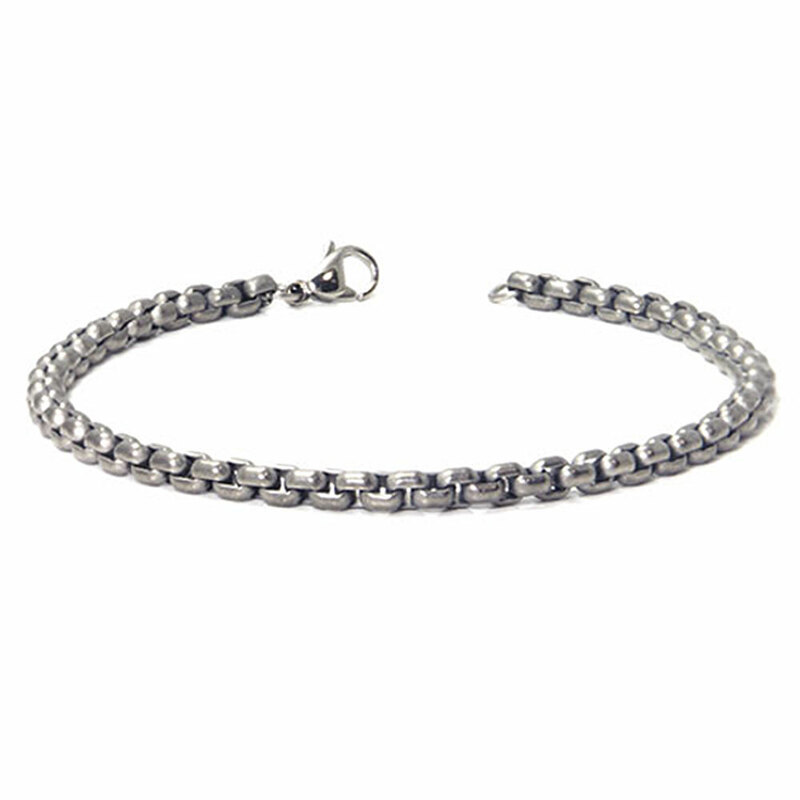 Another fantastic feature of our titanium 4mm box link bracelet is it would make a great gift for any special occasion you want to mark, with our low prices and high quality titanium bracelets that do not break, twist, or kink. Titanium as you may know is extremely strong, in fact it is as strong as steel, but weighs just half as much. 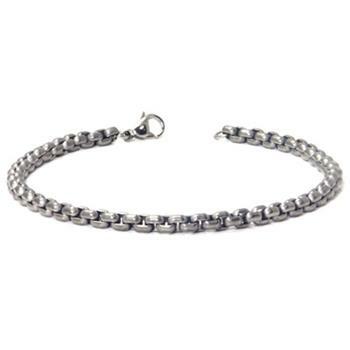 We invite you to shop our full line of titanium, tungsten, and cobalt chrome bracelets and jewelry. Lovely bracelet discrete and elegant!